Global Wind Power is poised to be leading player in wind power business with its ambitious growth and expansion plans. As a part of this plan, we have setup state of art manufacturing at Silvassa and offices across the globe. The company provides highly challenging work environment, which will enable unleashing of one's potential in unlimited ways. 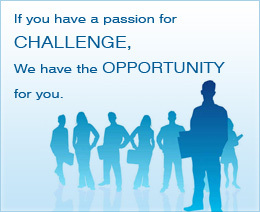 We invite successful professionals to join our team.